Save BIG this week on all brand new AFIKIM All Terrain Outdoor Mobility Scooters, 3- & 4-Wheel Scooters. Order today! We carry the largest selection of Afikim Mobility scooters and ALL available Afikim parts on the web. Our Afikim Scooter Collection starts at $1,000.00 with free shipping and free covers, backpack and including batteries. We carry Afikim Scooters, Afiscooter S3, Afiscooter S4, Afiscooter M and also all possible Afikim Parts you would need, like Batteries for your Afikim Scooters, Chargers for your Afikim Scooters, Afikim Lights or Afikim Fenders. Also Mirrors, baskets and lock boxes. The lowest price on the web. If you see lower pricing, we''ll match it! We are confident to be your best customer service dealer for Afikim in the USA. 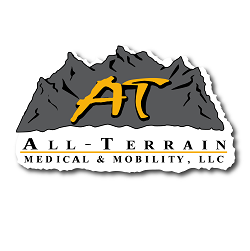 Please feel free and check out our BBB seal at the bottom of this page (and each page) and view what customers have to say when reviewing All-Terrain Medical & Mobility. We love what we do- To provide you with the best customer support for your Afikim Electric Mobility Scooters and Afikim parts. We are proud to carry the Afikim line of Mobility Scooters. They are the Industry leader with design and innovation. Afikim’s electric mobility scooters are the innovative forefront of mobility scooters. They combine innovative design with latest technology. Afiscooters have a two (2) year warranty and are of very high quality. When Afikim develops their scooters, they keep in mind the ease of use for the driver. The base of their scooters is made of high quality, strong materials. The suspensions are adjustable and the seats are ergonomically formed for a safe and comfortable ride. Available are portable models that are easy to transport and also heavy duty scooters for the outdoors, so no matter where you want to go, you will arrive!